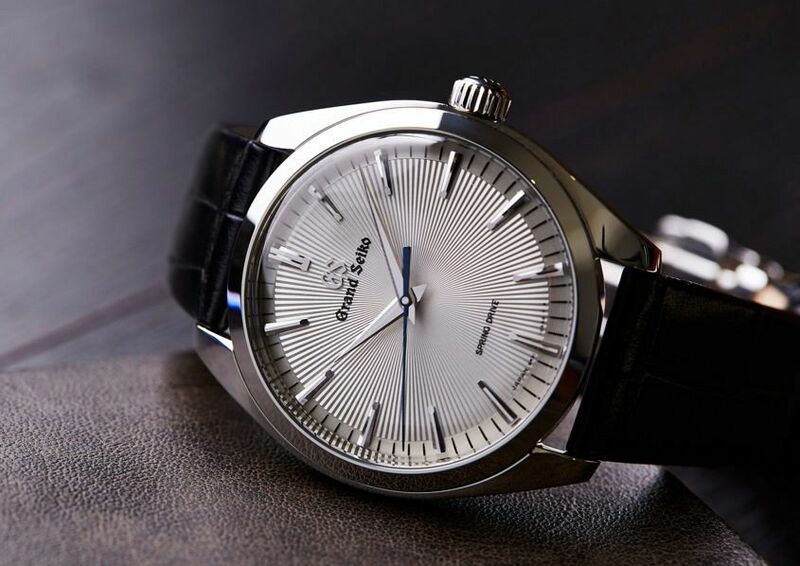 This is a Grand Seiko like you’ve never seen before. First, the case is so well-sized — 38.5mm across by 10.2mm thick is elegant, restrained proportion. With a simple case, with swooping lugs, a grippy crown (important for manual winding) and a black alligator strap, it’s a refined piece. 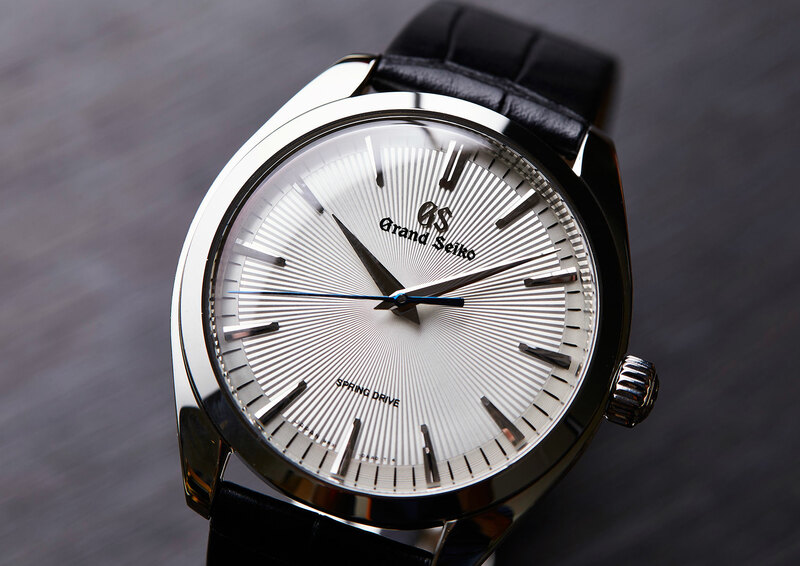 It’s interesting to note that this is one of the few GS models where the lugs aren’t drilled. 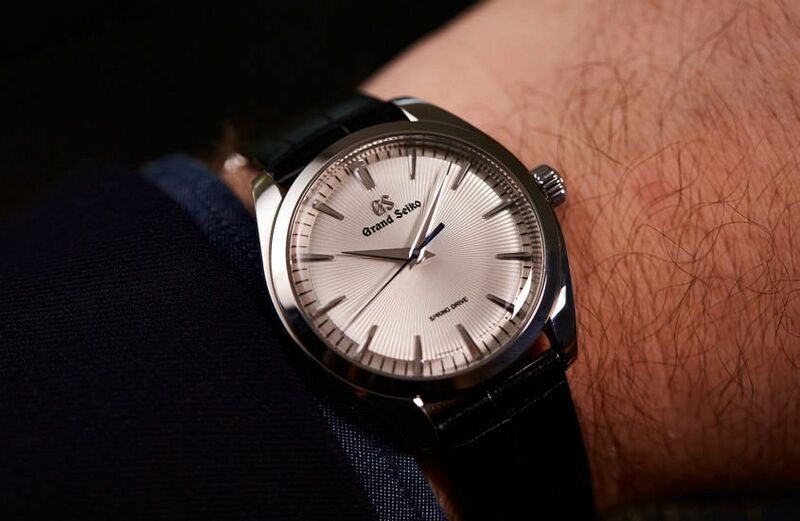 Of course, the dial is impressive, too: a radial starburst-like guillochage, reminiscent of the popular Seiko Cocktail Time; it’s bright and crisp, with all the details you’d expect from the masters of the art. It’s also very clean, with no date or power reserve on show, as you might expect. Just because you can’t see it, doesn’t mean it isn’t there. The caliber 9R31 (which, sadly, we can’t show here as this prototype had a dummy movement) displays the reserve on the back. 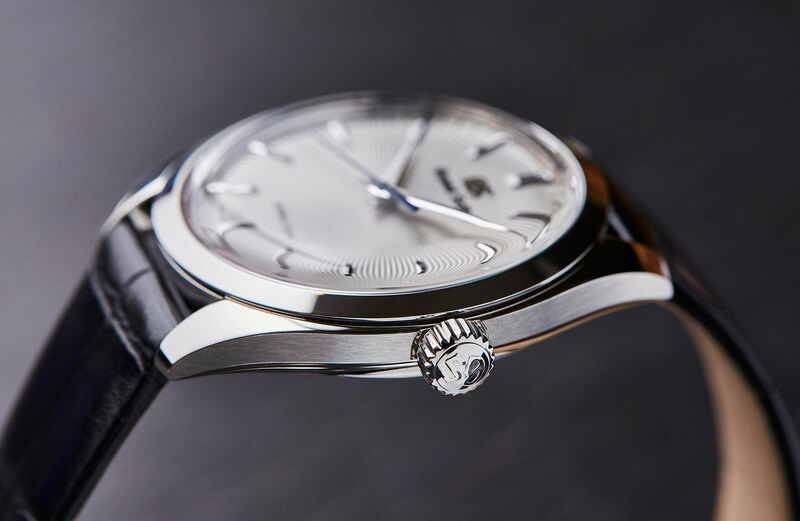 That reserve is unchanged from the typical Spring Drive — 72 hours, thanks to the dual spring barrel. Accuracy is as strong as ever, at +/- 1 second a month. Twenty years on, the Spring Drive is still going strong.